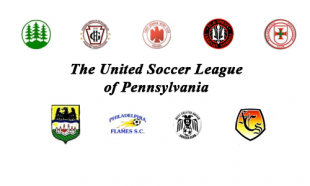 Pennsylvania State Cup play started this past Sunday, with 1st round matches in the Open Cup, and a semi-final match in the Women’s Cup. Coming up this Sunday will be the 1st round of the Men’s Amateur Cup, and the Women‘s Cup Championship Match. The real meat of the schedule starts in November, with four Open Cup matches slated for Nov. 4, and 8 Amateur Cup matches on Nov. 13. In New Jersey, all of the Cups are starting Nov. 30, but there is only one match in the Philly area this week. 2011-12 EPSA Open Cup Final is Sunday 12/11/11. West Chester Majors v Salone FC. Game is at 2pm at 601 Westtown Road, West Chester. State title on the line along with a berth in regionals (and a US Open Cup slot should one of our teams advance to the regional finals).